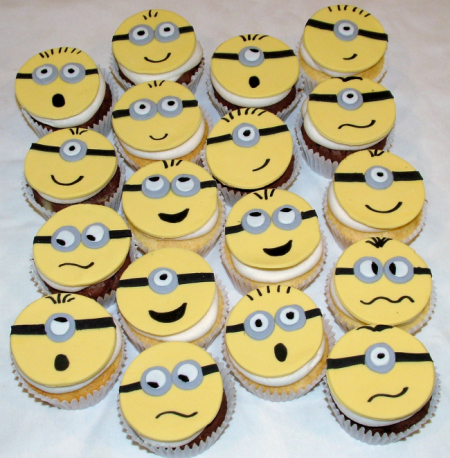 A Sweet Cake » Blog Archive » Minion Cupcakes! Its hard not to like the Despicable Me movies – and especially those hilarious (and sometimes inappropriate) minions! 🙂 It was sure fun to make up these little faces for my friend’s daughters. The faces are made of a fondant/gumpaste blend.